It officially feels like fall is around the corner here in Ottawa. The leaves are starting to change a bit, the air definitely has a nip to it, and I don't feel like a weirdo going to school in a scarf or tights. 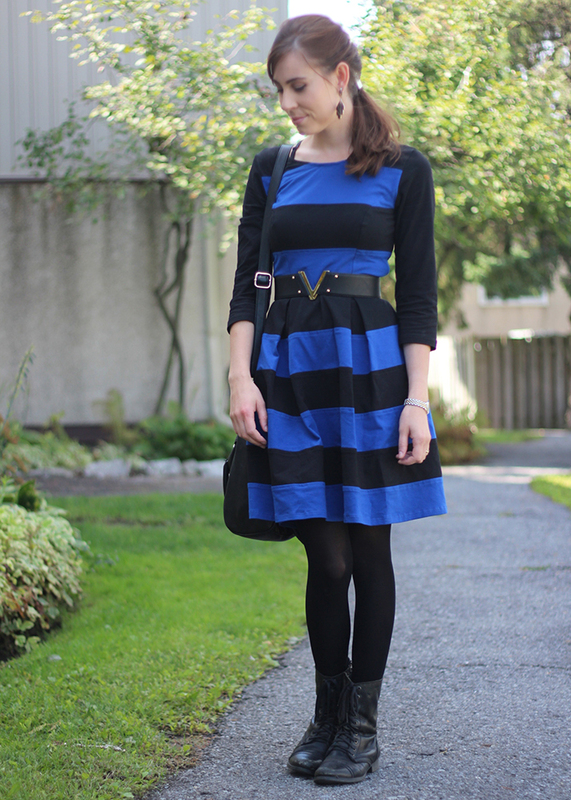 This dress from eShakti is kind of the perfect autumn dress. You can customize whatever you like on the dresses they have on their site (even sizing! ), so I added three-quarter length sleeves to make it more fall-appropriate. The material is nice and thick as well, which is great. 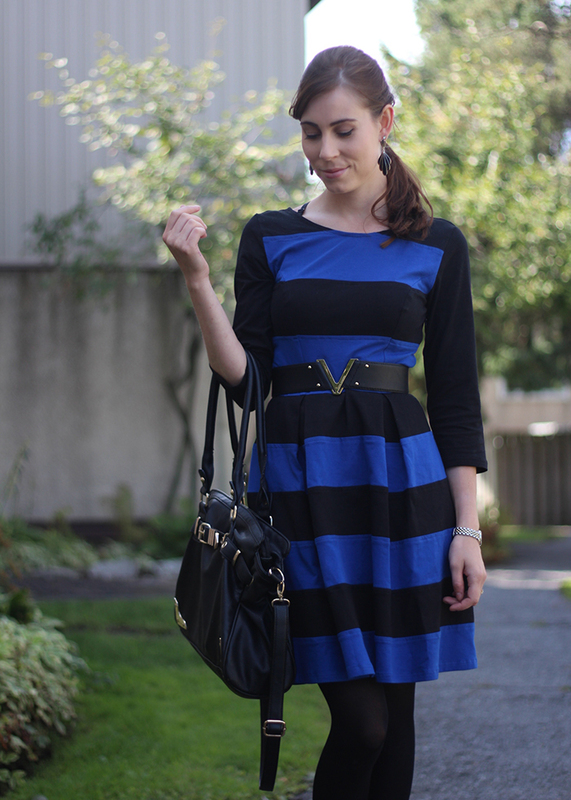 Also, you know, any dress with pockets is A-Okay in my books. I wish I was in Ottawa right now! I've been dying to visit ever since I left the last time (which was years ago...). I love that look! It's so Halloweenesque. Thanks so much! I love that you can customize the sleeves, too....makes them so versatile!